Three bouts were televised on tonight’s HBO PPV offering before the start of the main event between Canelo Alvarez and Gennady Golovkin. The undercard fight between Nicola Adams and Alexandra Vlajk was called off after Alexandra Vlajk failed the pre-fight medical. 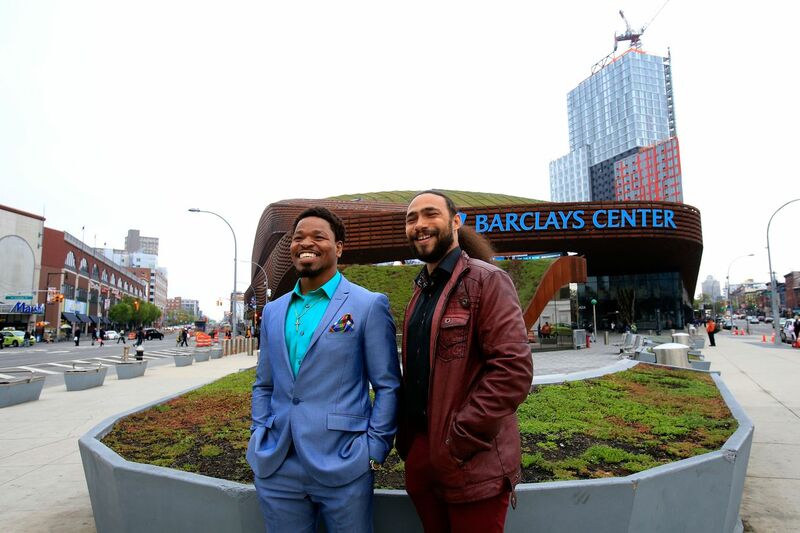 Three fights were on the untelevised undercard in front of a nearly empty arena. The first bout of the televised portion of the pay per view was between Ryan Martin (19-0) and Francisco Rojo (19-2) for the WBC Continental Americas and WBA Inter-Continental Lightweight Titles. Martin was the taller fighter and fights out of an orthodox stance, but was previously promoted by 50 Cent and has been relatively inactive the past few years. Martin stayed busy with his jab in the opening two rounds and Rojo targeted the body, but not much action and Rojo was slightly busier than Martin. Rojo complained to the referee about punches landing to the back of the head and Martin appeared to be shaking off ring rust. Rojo continued to come forward in the fourth and fifth rounds and was the more aggressive fighter of the two. Martin was able to land a good double left hook to the body and head in the sixth round but that may have been his best combination of the first half of the fight. Rojo was able to momentarily stun Martin with a right cross in the seventh round and Martin was warned by the referee to keep his punches above the belt line. Martin was warned for low blows twice in the eighth round and the referee gave Rojo time to recover, but Martin was not deducted a point. Martin connected with some good right hooks this round, but this round, like the others before it, could have been scored either way. Martin was finally deducted a point in the ninth round for landing another low blow, but he was able to land some good combinations to the head of Rojo. The final round was similar to the rounds previous, with Rojo pressing the action coming forward and both boxers throwing and landing, with Martin appeared to land the cleaner punches but Rojo throwing slightly more. The judges scored it 98-91 Rojo, 96-93 Martin, and 95-94 for Martin. The crowd loudly boos the decision of the judges. The next bout of the night started almost immediately afterwards and was between Randy Caballero (24-0) and Diego De La Hoya (19-0) for the NABF and NABO Super Bantamweight Titles. Caballero is another boxer that has not been very active in the past two years. De La Hoya was able to land good hooks to the body in the opening round but was reaching for his punches a bit. 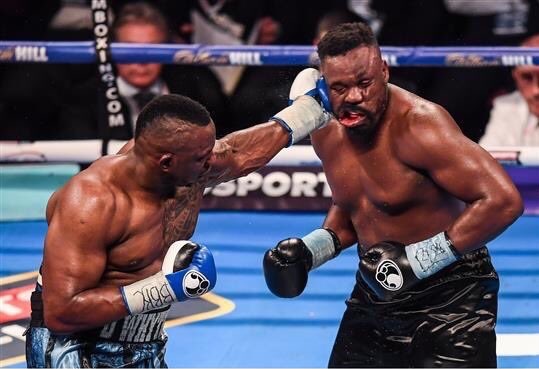 Both boxers were a little sloppy in the opening two rounds and clash of heads occurred in both the first and second round. De La Hoya was landing the cleaner shots in the third and fourth rounds, though Caballero was able to knock De La Hoya off balance a little bit with a right hand to the chin in the fourth. Caballero had a small shiner underneath his left eye in the fifth round and took a hard combination that forced him to retreat into the ropes a little dazed. De La Hoya continued to land good combinations in the sixth round and even pushed Caballero to the mat. De La Hoya had a good showing in the seventh round and was able to tie up Caballero whenever he got in close. Caballero needed a knockout in the final two rounds to win the fight, but that knockout never came and he didn’t press the pace enough to ever come close. Diego De La Hoya wins by decision with scores of 100-90, 98-92, and 98-92. The final bout of the undercard was between Joseph Diaz Jr. (24-0) and Rafael Rivera (25-0-2) in a WBC Featherweight Title Eliminator. Rivera was training for another fight when he got the call to face Diaz at the last minute. Diaz came out aggressive in the opening two rounds but Rivera was more than willing to fire back with shots of his own. Both boxers appeared to be evenly matched early on. Diaz was pressing the pace more by the fourth-round while Rivera was looking for his counter shots, but Diaz was the more accurate puncher. Diaz’s accuracy carried the way in the middle rounds with the exception of the seventh, in which Rivera was able to land several hard shots on Diaz during their exchanges. Diaz focused on the body in the eighth and ninth rounds and looked like the fresher fighter. He had a dominating tenth round and landed several hard-straight left hands on Rivera. Even though Diaz didn’t score any knockdowns, he looked like the fresher fighter and was boxing better as the fight progressed. The championship rounds were rounds that he clearly won. The final scores were 119-109, 119-109, and 120-108 for Joseph Diaz. Marlen Esparza (3-0) defeated Aracely Palacios (8-8) by scores of 60-54 on all three scorecards in the Flyweight division. Vergil Ortiz (7-0) defeated Cesar Valenzuela (7-2) by TKO at of the 1:22 of the second round. Serhil Bohachuk (5-0) defeated Joan Valenzuela (5-9-1) by TKO at 1:58 of the second round in the super welterweight division. 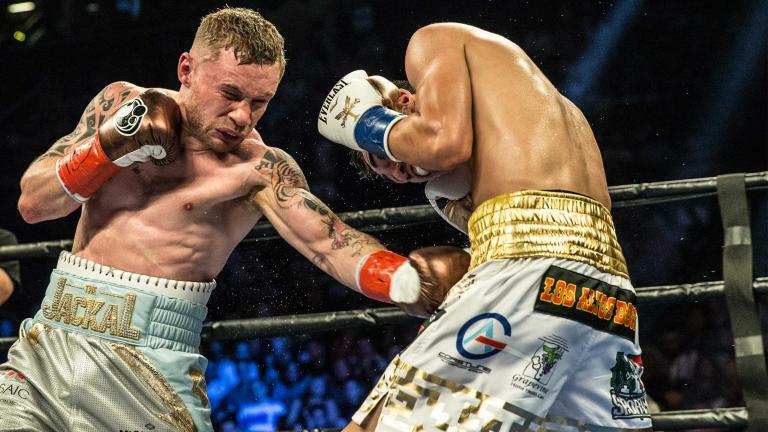 On Saturday night HBO will present two fights on their Boxing After Dark Series to run against the Showtime card that features a rematch between Leo Santa Cruz and Carl Frampton. Saturday’s card will feature two bouts in the Super Featherweight Division live from the Fantasy Springs Casino in Indio, California. Golden Boy Promotions will be the lead promoter on this event. The two bouts on the card will be a WBC Junior Lightweight Title fight between Francisco Vargas and challenger Miguel Berchelt. The co-main event of the evening will be between Takashi Miura and Miguel “Mickey” Roman in a WBC Junior Lightweight Title eliminator. This should be a fan friendly fight and both boxers are known for their power. The winner of this bout will likely face the winner of the main event in the near future. Miura has twenty three stoppage wins and two stoppage losses. Roman has been on a tear recently and has forty three stoppage wins and only one stoppage loss, including six straight wins by stoppage. However, Roman did not experience a lot of success early on in his career as evident in his eleven total losses. Miura will be one year older than Roman, and will also be about an inch and a half taller. Miura is a southpaw and Roman fights out of an orthodox stance so we have a fight that will likely feature numerous clashing of heads. Roman, who hasn’t lost since 2012, has defeated the likes of Edgar Puerta, Daniel Ponce De Leon, and Juan Carlos Salgado. However, he usually loses when he takes a step up in competition and has lost to the likes of Antonio DeMarco, Jonathan Victor Barros, Miguel Beltran, Antonio Escalante, Fernando Beltran, Javier Fortuna and other less descript opponents. Miura has losses to Francisco Vargas, Takashi Uchiyama, and Yusuke Kobori. He has defeated the likes of Billy Dib, Edgar Puerta, Sergio Thompson, Gamaliel Diaz, and Yoshimitsu Yashiro. At first glance this looks like a fight that Miura should win easily, but you can’t discount the success that Roman has had recently and his current string of stoppage victories. Miura should still be considered the favorite, but Roman will make it a tough decision for him to win. This has the potential to be a barn burner and an early candidate for fight of the year. Vargas, the current WBC Junior Lightweight Champion, is coming off of a majority draw in a crowd pleasing fight with the rugged Orlando Salido. Vargas only fought once in 2016 and twice in 2015, but he made his first fight in 2017 a tough one. Vargas has a deep amateur background and represented Mexico in the 2008 Summer Olympics. Berchelt is a three time Mexican National Boxing Champion as an amateur. They both have power in their hands. Berchelt has twenty seven stoppage wins and his past four fights have come by stoppage. Vargas has seventeen stoppage victories and three of his past four fights resulted in a stoppage win. Berchelt will be seven years younger than Vargas on fight night and will also have a one inch height advantage and about a two inch reach advantage. Berchelt has also been more active than Vargas, he fought twice in 2016 and four times in 2015. 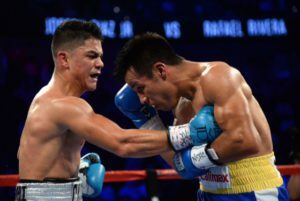 The difference between Vargas and Berchelt becomes most evident when comparing their professional resumes. Saturday will only be Berchelt’s second fight outside of Mexico as a professional. His notable victories include Suriya Tatakhun, Sergio Puente, Rene Gonzalez, and Oliver Flores. His lone loss was to Luis Eduardo Florez. Vargas has defeated the likes of Takashi Miura, Will Tomlinson, Juan Manuel Lopez, Abner Cotto, Jerry Belmontes, and Brandon Bennett. This is an interesting matchup, especially since Berchelt has some heavy power in his hands and is a three time Mexican National Champion that has very limited exposure to the American audience. But, Vargas is the better tested fighter and is still in the midst of his prime. 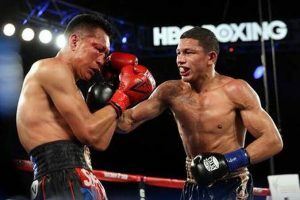 It’s possible that Vargas will be overlooking Berchelt and will be looking forward to his rematch with Orlando Salido, but it appears unlikely that Berchelt will walk away with an upset victory. In the wake of the death of the Great Muhammad Ali, HBO aired a boxing card which proved to be the best way to pay tribute to the former Heavyweight champion of the world. Live from Carson, California at the StubHub Center a pair of fights in the Featherweight division, one between two rising prospects and the other between two champion veterans was held. Between the undercard and main event HBO presented a very nice tribute to Muhammad Ali. The StubHub Center was lit up in cell phone cameras, while chants of “Ali, Ali, Ali” rang out. Michael Buffer led the tribute with a great speech as they tolled the traditional 10 count. The fight started out extremely fast, with hard punches from both fighters. Ramirez was on the balls of his feet, bouncing around, while his counterpart Lopez began landing heavy accurate punches. Ramirez was more of the sharp shooter, efficiently landing a strong, straight left hand. 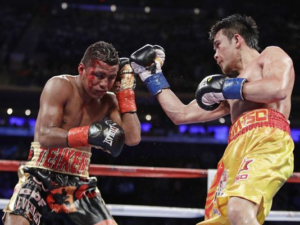 The second and third rounds provided the same quick pace action, with both fighters going toe to toe, landing heavy shots, to the surprise of Lopez, who most likely thought Ramirez as a non-contact boxer. During the middle rounds the pace slowed down tremendously, and went from a brawl to a boxing match, which is exactly what Julian Ramirez was hoping for. Both fighters suffered cuts on accidental head butts, due to the southpaw and orthodox styles. Ramirez proved that he could brawl when need be, but could more than out box the undefeated brawler in Lopez. Even though Ramirez was bothered by the flowing cut on his right eye, which he constantly pawed at, he was none the less able to stick to his game plan, landing more than 50% of his power punches. Ramirez has put himself in the position to take on someone that he believes to be the best fighter in the sport and test his own worth in Guillermo Rigondeaux. The judges did see it differently and all saw the winner of the fight in Abraham Lopez. This was very much a controversial decision, as Lopez look battered, bruised and tired at the end of the fight. What was billed initially as a “Fight of the Year” candidate on paper did not disappoint in its advertisement. Both fighters delivered on action, ditching any kind of defense very early in the first round and beginning to just brawl as soon as they could. Trading shots, and toe to toe fighting was the norm of the fight. Vargas attempted to use his boxing skill, but was eventually made to fight inside the phone booth as the veteran Salido never stopped coming forward, both men throwing every shot with bad intentions, looking to stop their opponent. The sixth round was the closest to a knockdown for Vargas, wobbling Salido and nearly sending him to the canvas. Vargas tried to put his opponent down, but ended up punching himself out, giving Salido a way to make a comeback. The last third of the fight was just as brutal as the first half with both men in- fighting, landing blistering shots to the others head and body. These are the fights that people talk about for years, and take years off of a fighters lives. This style of fight is what separate fighters, that puts fear in to other fighters hearts. It could have gone either way. Both men left their souls in that ring, entertaining the fans and leaving it all on the line. Fight of the year candidate? That is the least we could give these two warriors. This Saturday night from the StubHub center in Carson, California, Golden Boy Promotions will telecast a possible fight of the year candidate live on HBO. The undercard will pit two young, undefeated prospects in the featherweight division who have been showcased on smaller Golden Boy cards, and will look to use this opportunity to expose themselves to a very large audience and possibly set themselves up for bigger fights in the upcoming year. Julian “El Camaron” Ramirez is a fresh faced, 23 year old slick boxer out of Los Angeles, California. Ramirez is the nephew of former world champion Genaro Hernandez. Ramirez comes from a very good amateur background, compiling a record of 73-5 and going on to become a four time National PAL champion. He has won his last three meetings, over Raul Hidalgo, Hugo Partida and Christopher Martin, by Unanimous decision, slowly stepping up the quality of opponent. Ramirez is a fast handed southpaw who is very much looking to get to that next level of opposition. Abraham “Chamaco” Lopez is also a young fighter looking to take advantage of the exposure he will receive on this undercard. Though a little older than his opponent, the 28 year old Lopez has also stayed very busy in the last year, winning all of his fights by stoppage. His lone draw on his record came last year against a much more experience fighter in Juan Carlos Martinez, who has been in the ring with the likes of Antonio DeMarco, Juan Carlos Burgos, Bernabe Concepcion and Mikey Garcia. Lopez is a brawler and will look to use his power to win this fight. Both fighters in this main event are come forward, punch for punch, warriors in the ring. They exemplify the “Mexican Style” of boxing that is one of the most entertaining styles of fighting the sport has to offer. Vargas is coming off of an unbelievable performance last November, in a fight that went on to win the BWAA fight of the year award, against Takashi Miura. Not only did Vargas get off the canvas and work through an awful cut on his eye, he was able to knock out Miura, who seemed unstoppable. Vargas and Salido are similar in their fighting styles, which can at time resemble fighting in a phone booth, but they come from different backgrounds. The 31 year old champion, Vargas, was a highly decorated amateur who represented his native Mexico in the 2008 summer Olympics in China. 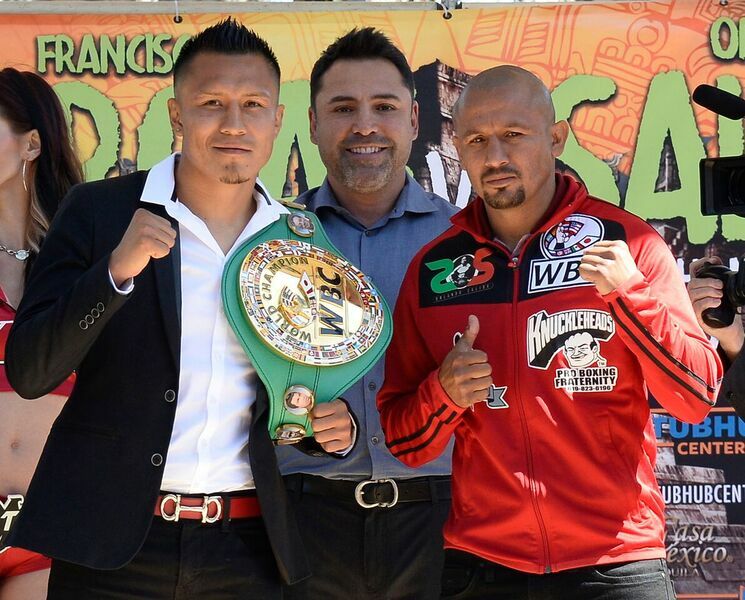 Salido, who is only four years older at 35, has been a pro since he was 15 years old. This will be his 60th professional fight, and he has seen it all. Where Vargas does have some big wins against Miura and Juan Manuel Lopez, which is really the extent of his accomplishes as a professional. Salido, who has been pro since 1996 has been in the ring with the likes of Juan Manuel Marquez, Robert Guerrero, Yuriorkis Gamboa, Juan Manuel Lopez, Mikey Garcia, Vasyl Lomachenko and Roman Martinez. When they say styles make fights, this is the type of fight they are referring to. On paper, fireworks are already starting to go off, and both of these men do not want to leave anything back once the final bell is rung. We expect the fight to live up to the hype and commend both fighters for putting aside any legal, contractual or ego garbage aside and get ready to fight. Orlando Salido is a former, multi divisional world champion who became a professional boxer in 1996, at the age of 15. He fought 6 times in 1996, his debut year, against grown men, and has never looked back. At the age of 35 he has been in the ring with the likes of Juan Manuel Marquez, Robert Guerrero, Juan Manuel Lopez, Mikey Garcia, Vasyl Lomachenko and Roman Martinez. On June 4th, in his 60th professional fight, he will look to once again become a world champion, as he takes on undefeated Francisco Vargas at the StubHub Center in Carson, California. Earlier this week we were able to speak with Orlando and talk to him about his career and upcoming title fight. Boxing Insider: This will be your 60th professional fight, 20 years pro. How much longer do you plan on fighting? Orlando Salido: I feel great, mentally, physically. I know what I need to do every fight to get ready. It’s always a question of how you “look”, how you “feel” after a fight. I know this is an important fight and we’ll see what happens in this fight, then I can see what happens next. Boxing Insider: With a fighter like Francisco Vargas, does this have to be an all-out “brawl” or could this be a fight that goes the distance? Orlando Salido: Because of our styles, I do see this fight ending with a knockout, but in Boxing you never know. You may think you are going against a certain style and then guys don’t fight like they always fight. People change in the ring. I think it will be a very good fight, either way. Boxing Insider: About a month ago, Vargas tested positive for a banned substance. What do you think about fighters that test positive? Orlando Salido: I know someone on his team must have made a mistake with that. I’m not even thinking about it. I’m focusing on my fight, and what I need to do to win. It’s going to be a tough fight, a hard fight, and that is all I am thinking about. That is all I care about, getting ready for the fight. Boxing Insider: Was there any reason why you did not decide to cancel this fight? Orlando Salido: No, the way I see it, I do not know what benefits him or what helps with the drug he supposedly took. That’s what you have to live with. We had the opportunity here. An opportunity to fight for a world championship, an opportunity to fight for a title I always wanted. I’m ready to go. Boxing Insider: You have 13 losses in your career, but have gone from a stepping stone fight to a multi division world champion. What do you say to the fans that are infatuated with the “zero” loss mentality? Orlando Salido: I never been a fighter that goes in thinking of defeat. I always go in thinking about winning. I prepare myself to win every time I step in the ring and to give the fans what they want. The results, sometimes don’t matter to me. But as long as the fans are entertained with a good fight and enjoy watching me fight, that’s all I can do. Just doing the best I can and have the results be what they are. Boxing Insider: Out of all the great fighters you have taken on in your career, who would you say was “the best I’ve ever faced”? 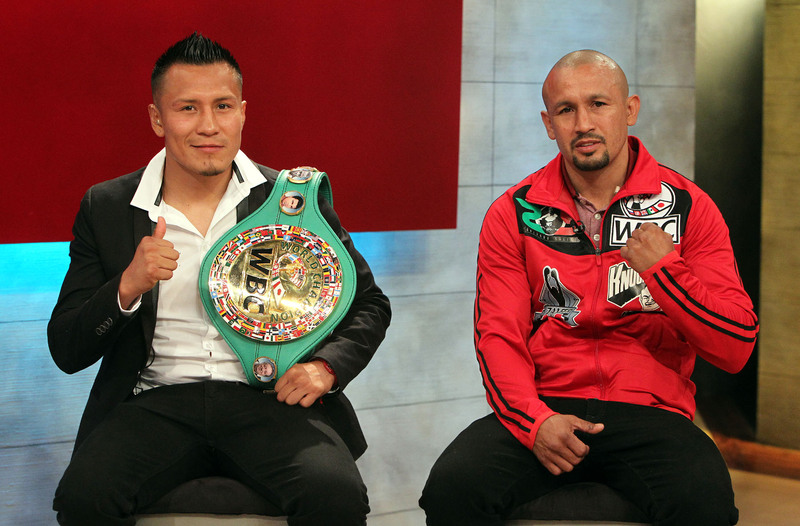 Orlando Salido: I would have to say Juan Manuel Marquez. He was a great counter puncher, great technician in the ring. He wouldn’t let me do anything. He was always a step ahead of me, whenever I thought of doing something he already knew what I was trying to do. That was, without a doubt the best I have ever fought. 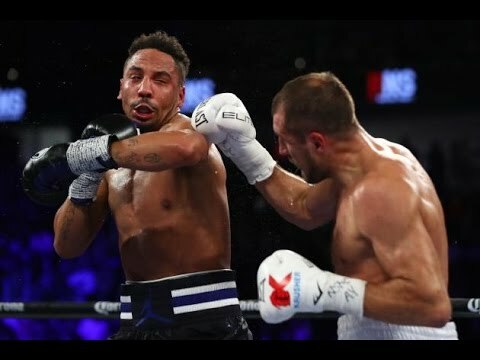 Boxing Insider: Do you want the winner of June 11th’s fight between Rocky Martinez and Vasyl Lomachenko? Orlando Salido: If I do come out a winner against Vargas, I would love to rematch Lomachenko who has said he wanted another fight against me. As long as they pay me the money that it is worth.